I have problems with the Bandwidth manager. Version 3.1.4 starts normally, but without any Rule the Traffic is limited to about 500 Kb/s. I tried many many rules, but nothing works. I even reinstalled it and doesn't seem to work. Additionally the Manager didn't respect all Rules. Only 1 out of 3 Rules was noticing traffic. Well, but the speed was the main problem at this point. 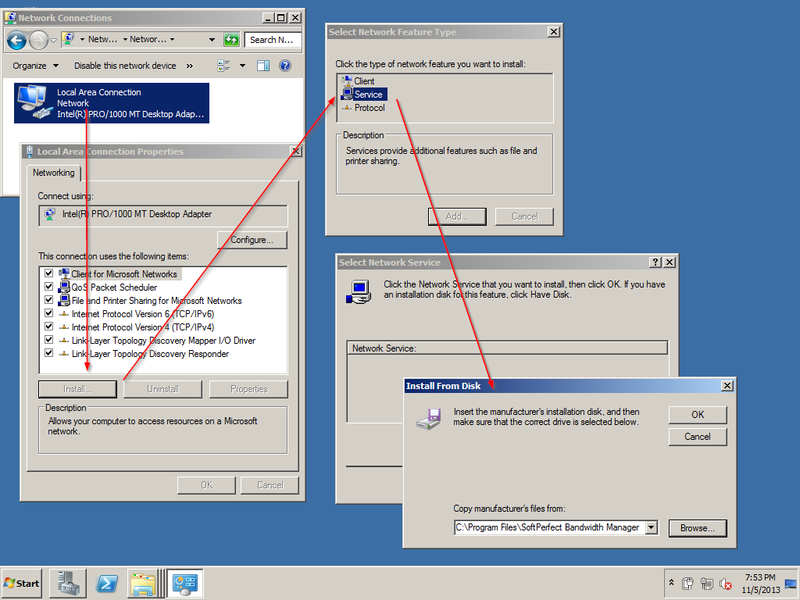 I get the error: Network driver couldn't be loaded (or something like that - in Windows Logs). And the GUI itself says "Connection Refused". I am not sure where to start, but let's have a look at your ruleset and log messages. Could you post here the .DB file from C:\ProgramData\SoftPerfect\Bandwidth Manager? Please compress it to a .ZIP file. By the way, what version of Windows are you running it on? Anyway, I deleted all Rules at this moment. Still not working.. Unfortunately there wasn't much info in the DB to shed light on this issue. 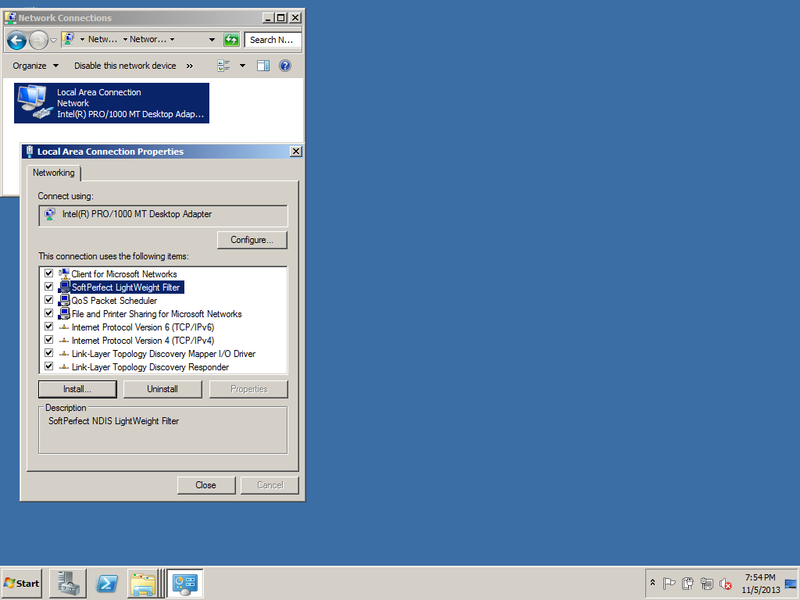 I went ahead and ran a test on Windows 2008 R2 x64 with the latest version, but everything worked as expected. The speed was up to 50 MB/s. I guess the culprit may be a combination of network drivers or a conflict with other software installed on your server. Since version 3.1.3 worked for you, I'd recommend to stick to it. If you get a 'driver loading error', usually that happens when the driver did not install correctly. 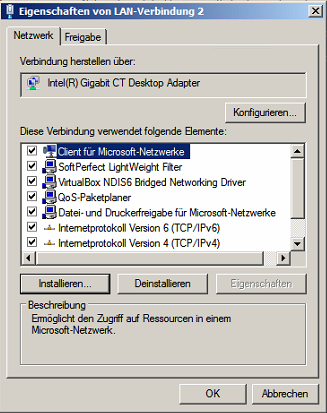 Please try removing the driver if it's listed under the network connection, and refer to the screen shots below on how to install the driver manually. I installed 3.1.3 again now. It works for a Rule with Any / Any. For the Host machine everything is working. Probably the MAC address is not what you expect it to be. 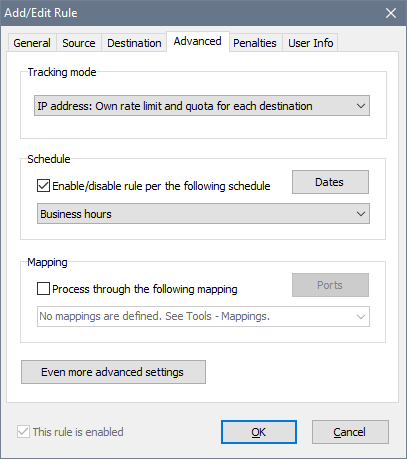 Make an Any/Any rule and then set the tracking mode to Destination MAC address. You should be able to see captured MACs in the main view as streams. I did that, but it only shows the Host's MAC Address. 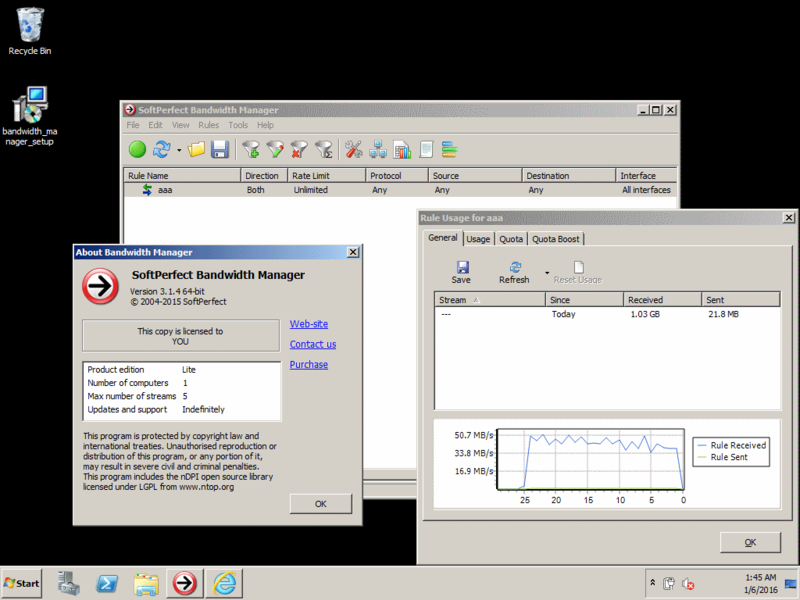 Even if I put much traffic on the Virtual Machines, nothing is being noticed by the Bandwidth Manager. This means only the MAC addresses of 000AF36A7000 (unicast) and FFFFFFFFFFFF (broadcast) have been seen in the traffic. What's your configuration and what are you trying to achieve? I can now see ~ 2 Kb Traffic on one of the MAC Addresses of the VMs. I have no idea how this happened, but the rest of the Traffic isn't being noticed. 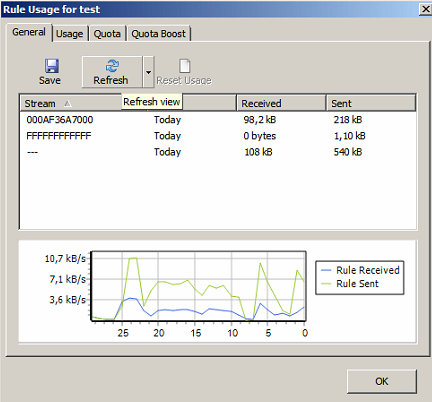 I'm trying to limit the bandwidth to the VMs. I have 1 Host machine (Traffic is logged, even with the MAC Address of the Host machines) and 2 VMs. Before I tried to update the Bandwidth Manager everything was working, but now the MACs of the VMs don't seem to have traffic, but actually they do. Well you can run Wireshark and see if there's any traffic to those MAC addresses or there isn't. I am afraid I can't see what's happening from here. Could there be a problem with the order of the services? Edit: I didn't know how to change the order, so I reinstalled the VirtualBox Driver. It's no above the Softperfect Driver and it works like before! Thank you very much! Interesting, I never met this issue before. Thank you for sharing the solution!